Glastonbury Abbey, dating to the 7th century AD is one of England's earliest, most important abbeys. Located in the heart of Somerset, and by the 14th century the second wealthiest abbey in Britain, the site boasted power and tremendous building works. Under the rule of Henry VIII, Glastonbury became just one more victim of the Dissolution of the Monasteries, with its church buildings pulled down and the monks dispersed from the site. Amongst the great ruins stands the one surviving example of medieval power and wealth, the Abbot's Kitchen, part of the magnificent Abbot's house begun by John de Breynton in the 14th century. Today, the Abbot’s Kitchen is open to the public and used extensively for educational visits by local school children. It provides a core curriculum offering, enabling children to learn why the building is so important and how medieval cooking took place inside. 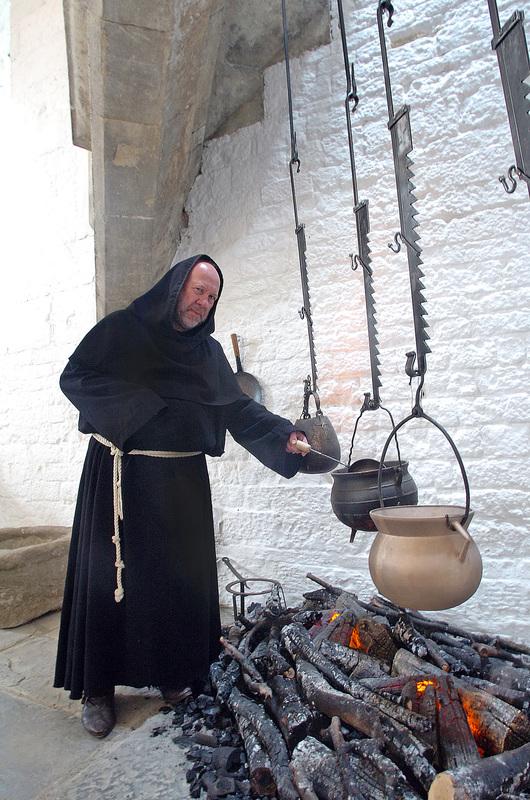 The interior of the Abbot’s Kitchen, which is one of the best preserved in Europe, recreates the kitchen when it was in use during the Medieval period, with cooking fires, spits, pots, utensils and foods. It also hosts temporary display and supporting information for school and other visitors. As part of a major programme of conservation work on the kitchen, five Dimplex Silverton Opti-myst fires have been used to have help to portray this period representation of a Medieval abbot’s kitchen. Combining the realistic Opti-myst three-dimensional flame and smoke effect with all the safety credentials needed for a popular visitor attraction, the Dimplex Silverton fires were supplied by Mendip Fireplaces (Somerset) Ltd after architects working on behalf of the Abbey approached the store. The Silverton is an electric fire basket design with individual logs for added realism. It has low energy LED lighting, a removable glowing ash bed and remote control. A pair of Dimplex Silverton fires sit side-by-side in each of two large Inglenook fireplaces, representing open fires sitting underneath a spit-roast and cauldron of boiling broth. A fifth fire is used to create the illusion of a working bread oven and all fires are clad with charred logs for added effect. Jeremy White from Mendip Fireplaces (Somerset) Ltd said: “It was an easy decision for us to suggest the Dimplex Silverton model when we were first approached for this project.